March’s feature donut is on the shelf! 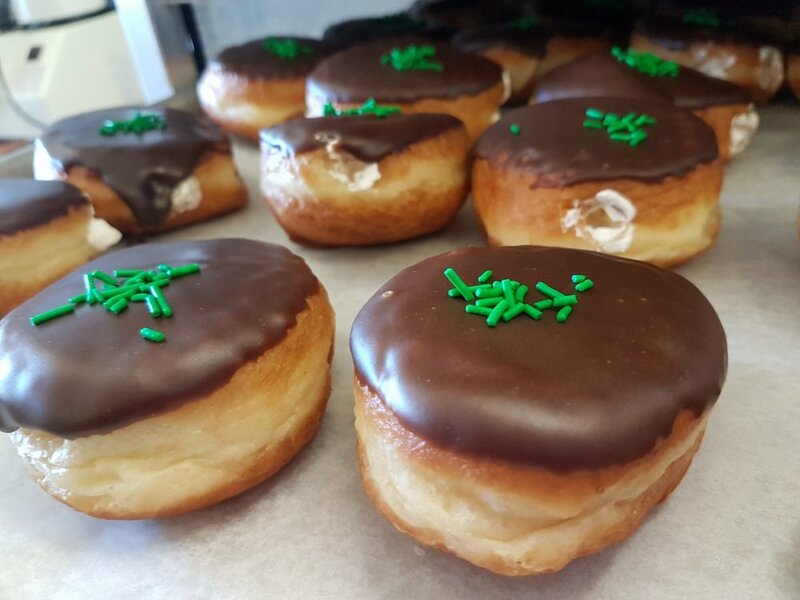 These are filled with an Irish Cream flavored whipped cream and topped in chocolate. A seasonal favorite, try one today! 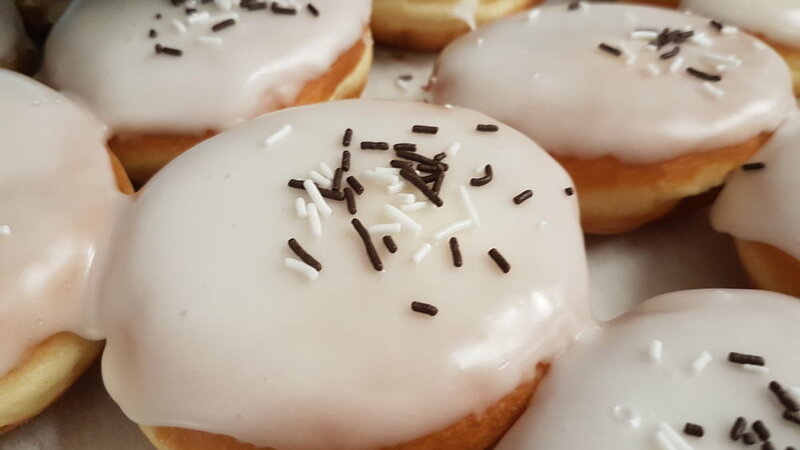 These Feature donuts have a sweet cupcake flavored whipped cream inside! Have you waited all year for this? These yummy donuts have a pumpkin pie/spiced whipped cream on the inside. On the shelf now! Limited time only! It's Back! We've had a lot of customers request that we bring this donut back, so we did! They're filled with a yummy root beer whipped cream and topped in white fondant! Try one soon! We've got a brand new donut on our shelf! We've stuffed them with a maple whipped cream, topped them in white fondant, and garnished them with crushed cinnamon toast crunch cereal! Our feature donut this month has a delicious Cherry whipped cream inside!